For salon owners who are bowing out of the business, this could be the right time to attract buyers that are keen. Canada’s beauty industry is sitting pretty so, for salon owners who are bowing out of the business, this could be the right time to attract buyers that are keen to make their mark in the beauty sector. The hair and nail salon industry in Canada is growing, mainly due to an increase in the number of adults aged 20 to 64. The demand for price-premium services in luxury salons has also increased in recent years, which shows the sector is in a healthy state and also benefiting from the growth of disposable incomes per capita. The beauty market is forecast to grow over the next five years thanks to consumers regained confidence in Canada’s strengthening economy. For proprietors keen to get out of the beauty business, it is an ideal time to sell a salon. There are approximately 18,450 beauty salons across Canada and the industry is worth $9.5 billion a year, according to reports. The sector is profiting from a steady growth at 0.7% per annum and areas such as Quebec, Ontario and British Columbia are ripe for further opportunities in the industry. Also, the beauty sector in Canada is less saturated than US and European markets, which is another key selling point for those looking to break into the industry. The two main valuation drivers for any beauty salon is location and what type of demographic is in the area. Additionally, if you have a valuable list of regular clients that you’ve built up over the years your business proposition will be more attractive to potential buyers. The quality and loyalty of your employees and managerial staff will also be a factor when valuing your business; a salon is only as good as its stylists and beauticians. The beauty industry suffers from a high turnover of staff, which is a downside for entrepreneurs who may be dubious about the costs involved in finding and training new talent. 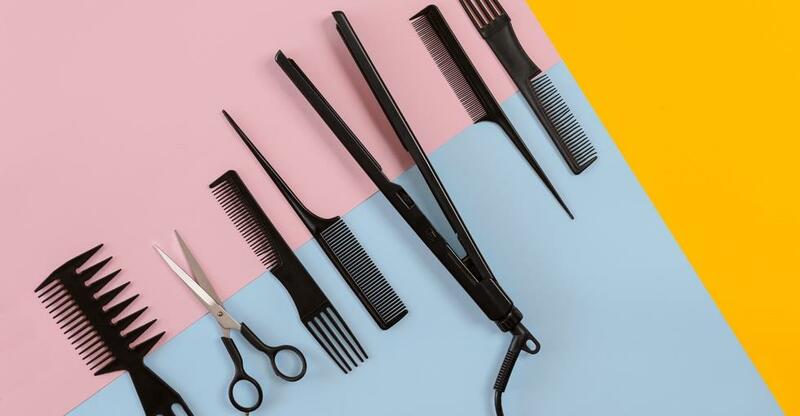 The physical size of your hair and nail salon will also affect the business valuation; the bigger the salon the more beauty stations, which means more chance of bookings and a higher turnover of customers. Large businesses premises, however, also have their disadvantages such as higher overheads and maintenance. Also, the more employees you have the more paperwork there will be such as employee contributions, premiums and taxes, which must be remitted to the Canada Revenue Agency (CRA). However, if your nail bars and hair stations are constantly booked out, your profit margins will be higher, which means your business proposition will entice more interested buyers and put you in a better position for bartering during the selling process. When selling a business, a good starting point is making a list of all your hard assets (the tangible assets), physical inventory and equipment that you plan to include in the sale of your business. These assets could be hair salon chairs, tanning beds, real estate value and any transferable licenses and accounts receivable. You should also take into account that the value of equipment will depreciate over time, especially after constant and regular use. Make a list of intangible assets such as your regular client base, key employees and managers that intend to continue working for the business under new ownership, business logos and branding, social media presence and the overall reputation of your business. These assets have all been created and built by your own vision and can also be an influential bargaining tool for potential buyers who are keen not only to buy a business but also an established brand. Another important step in selling your business is making sure your bookkeeping, accounts and cash flow figures are in order and ready for prospective buyers to inspect. They will want to know how many days it takes to collect your receivables, whether you have any business loans or outstanding debts or what your turnover and profits have been over the last five years. Contact your accountant or, if you manage the books yourself, be prepared for entrepreneurs to crunch your figures before they make an offer. Finding the right buyer for your business can be a long process. Some vendors prefer to sell their business discreetly while others opt for a more public marketing strategy. To cast a wider net and attract more potential buyers, speak to a broker who specialises in the beauty business industry. If you don’t have a budget to seek professional advice, list your business sale online to reach out to a wider audience. Using a broker means you will not only benefit from an established list of interested buyers but you can also receive guidance on the selling process and how to value your business. You should also consider approaching competitors who may be interested in buying out their competition. Contact industry associations and personal associates to spread the word and target a more specialist demographic. Find out everything you need to know about selling your business right here. With the Canadian hair care sector performing well, it’s a tempting area to enter. We give you a break down of how to buy your dream salon. Want to run your salon without giving yourself grey hairs? This article tells you how.